Somalia is Desperate and It Cries for Mercy, Love and Peace! When Somalia cries we cry too. We know most of the Somalis are good people and innocent too. But, some of the political groups make the Somali political situation worse, because they have been brought up traditionally focusing on religious and tribal discourses that make the country cries for mercy. Somalia's political problems continue to become deeper because of the inherited sectarianism in the Country. They started from the first day the colonial powers landed in the area and escalated after the independence of the country from the colonial powers in three parts of the country (the British Somaliland, the French Somaliland and the Italian Somaliland). We could never understand the Somali political problems unless we get into the past and know the situations and the beginning of the country as one state, when the colonial powers decided to evacuate the area. While the state is absolutely a secular concept that should be according to this modern vision built as modern and civilized state, based on the values of secularism, the inherited Somali composition of religion and tribes make the most of the country's political problems. So, the political problems in Somalia are not new. They have begun and escalated since the first day the European invaders landed in the area through the Red Sea and Egypt. Egypt had been the gate of the bad winds that blew to devastate many nationalities in the Horn of Africa and crept even southwards to the Great Lakes region to control the sweat water resources. One is in this regional area (Victoria) annexed somehow to (Albert) and the other is in Ethiopia in the Horn of Africa (Tana, or T'ana, Tana Hayq, ጣና ሐይቅ). To read more about this area, see the 100 Beautiful Sites in the World, my daughter's network of beautiful sights in the world. The way the colonial powers dealt with the sheikhs of the clans in the area, through different and sometimes contradicted agreements has paved the way for tribalism to grow, as every sheikh was determined to have a great European power to support him as a sheikh against other rivals from the same tribe or other tribes and to support him against the ambitions of the Ethiopian empire at that time. At the same time, the colonial powers have played on this ground to grow their interests in Somalia and other parts of the Horn of Africa, as a strategic geopolitical location in the corner of northeast Africa, with all its logistic supplies to the Arabian peninsula and southeast Asia. As they used the sheikhs of the clans, they used religion too, when they actually decided to support Ethiopia, as a Christian power in the area, that could keep their interests intact. But, the colonial powers fought hard against each other to mark the boundaries of their interests in this area, creating Djibouti, Sudan and Ethiopia with its annexed territories of Eritrea and some Somali territories. 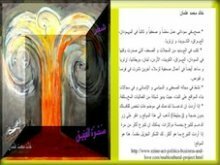 For Arabic readers, read my book, "The Political Tragedy of the Horn of Africa". So, the root causes of the political problems today were actually planted in the area long time ago to fuel it on fire in the future, by the leaders of the tribal and religious oriented groups, especially the Somali troublemakers. They are not only the problems caused recently by the Somali troublemakers, or the Ethiopian invasion, or the insurgency that engulfed the country since the fall of the military dictator, Mohammed Siad Barre, as we can see through the Somali political scene. The causes hide absolutely behind the formation of the state. Britain, Italy and France controlled the land and divided it into three parts called the British Somaliland, the Italian Somaliland and Djibouti, which was in fact the French Somaliland, while they were competing for the national resources and the strategic locations in the Horn of Africa. So, the problems started from this division to continue through the dictatorial period of Barre, the civil war after the fall of Barre, the American presence in Somalia and the turmoil led by the Council of Islamic Courts (CIC) and their military arm called al Shabaab. 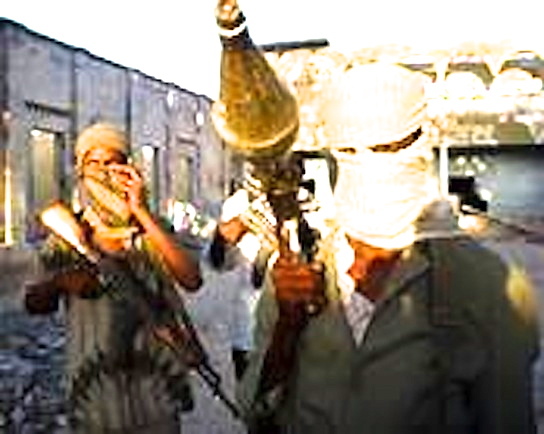 The unrest escalated basically because most of the Somali political parties, including the Somali Youth League, the Somali Democratic Movement, the Somali National Movement, the Somali Patriotic Movement, the Somali Revolutionary Socialist Party, the Somali Salvation Democratic Front, the United Somali Congress and the Islamic Courts Union including al Shabaab have been launched from the tribal and religious political map of Somalia. They have never thought of the modern and civilized state as a secular concept to build it on the values of civilian laws and to manage the differences between the clans based on the national sincerity towards the modern and civilized state, without having to marginalize any clan and thus its territory. During the past and up to this moment, the problems has escalated because none of the national political systems has built strong educational system towards well understanding to the requirements of a new modern secular and civilized state in the Horn of Africa. Barre, as a military dictator has never thought of such education, because he wanted to keep the people politically ignorant. The education system worked that time to graduate only officials to help him in many administrative areas and to that limit only. The religion worked also as motive to keep the people politically ignorant and think that any efforts to build a modern and civilized state work against their religious beliefs and it is "haram" to do that in a society considered traditionally Muslim. The root causes of the political problems are clear through the brief history of Somalia and they continued to be great problems in the absence of the national sense through which the religious leaders and the leaders of the Somali clans have all together created an atmosphere of political absenteeism in the country. 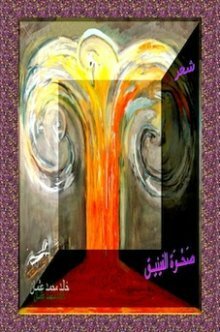 They created this absenteeism and followed it to erase the national sense and build a religious and other tribal clandestine sense, instead, to benefit only those elites and they have created some claque around them to get the political propaganda to work in this direction to grow their economical interests. In addition to the Somali site maps 6 A, here are some other pages about this country in English and in Arabic too. The first pages we published about this devastated country are below followed by the HOA's Site Maps. Visitors and readers of the newsletter have built other pages. You can read those pages through the links on the second section of the site maps. I recommend that you give your time to the political topics in this country, so you could get some political inspiration and correct any wrong information on those pages. 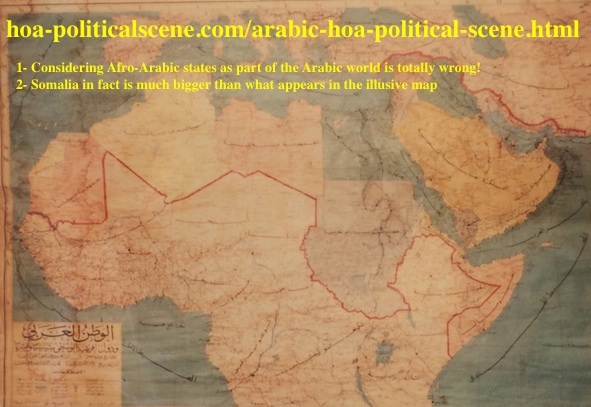 To link to the Arabic version of the HOA Political Scene at Arabic HOA Political Scene, click here. Fill the gaps. Look at pages that have not received commentaries, or pages with few commentaries and comment on the political topics. Discuss, or correct the information on those pages. Write your political views. Intervening in Africa: Superpower Peacemaking in a Troubled Continent (Studies in Diplomacy). For more resources see this country section at the Horn of Africa's Bookshop. Continue these lines on some other relevant pages below. You can also complete reading the site map 6, to see more pages that are relevant to this topic and to go direct to other pages through the primary and secondary site maps on this page. If you want to follow this website, subscribe to the HOA’s Political Scene Newsletter through the form at the top of the left column. HOA PoliticalScene Site Map 7: Sudan and South Sudan. HOA PoliticalScene Site Map 34, Horn of Africa's Journal. What makes the pain of Somalia worse? What makes the bloodshed and the insanity in the devastated country of Somalia? The difficult answers are absolutely on many pages in the entire site map 6 A including the linked pages. The Somali primary site map 6 A highlights many problems in the country and the page you are reading about Puntland makes the site map number 6 A in the Horn of Africa's Network. However, you could answer the questions above through the form on this page. Please write as long article as you could constructed of short sentences and short paragraphs, as you see on this page. Like, or tweet, or share the page with your social media services through the small buttons you see on this page. Use the following form to comment, or write about Somalia. Thanks. Comments, or new articles about Somalia appear at the second section of the page above. If you have not commented on this page, or written about it yet, please do that now. Thanks. I use the strong website building and optimizing tools you see on the image below to empower Somalia and the entire network.